Chevy Caprice Classic is one of the only cars that was produced from the very start of GM. The Caprice and its V8 engine were found in the mid 1960s models and this partnership held through until the demise of the Caprice in 1996. Larger V8 engines were used for the first 20 years until the fuel crisis and new EPA regulations caused sales to drop. Chevy responded with a smaller 4.3L engine and this was the one that remained in the Caprice Classic until its discontinuation. We have Chevy Caprice classic 4.3L car engines at the right price. Take a look at our discounts here and over here and you’ll get a feeling for what we offer you. 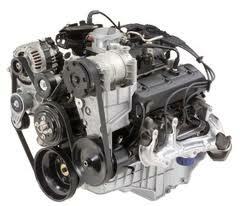 Our inventory is one of the largest for car engines online. We stock the majority of GM’s entire engine inventory and include the classic and late model engines. We use our connections in the auto industry to provide us with valuable resources to buy engines. We find our Vortec and Generation II 4.3L engines from various sources. These are in used condition and we offer them in rebuilt versions too. We have found that there is a market for both types of engines we sell and this allows us to keep our prices down. Our quality stays high though. OEM might mean something different to another seller, but what it means to us is not modifying the engine block or genuine parts. It is not hard to find engines on auction sites or that are posted in classifieds that are someone’s rejected attempt at a rebuild. We keep things genuine. We know you love GM quality or you wouldn’t use their engines. We never settle for second best when it comes to V6 or V8 Chevrolet engines. We keep the OEM parts in tact and only change out the ones that are required for a rebuild. The used engines stay the same and the only difference is that the parts are cleaned and tested. We even use special sprays to eliminate future rust or corrosion build up. We care about the car engines that we sell to you. Inside of our engine rebuilding shop is where pure magic happens. A used engine is given a brand new life due to the expertise of our Chevy mechanics. These professionals are simply amazing and make us look very good. A typical engine rebuild works like this. Engines are cleaned and disassembled. The parts and condition are evaluated using a standardized checklist for quality. OEM engine parts are installed according to GM diagrams and what comes out of the rebuild is a freshly rebuilt 4.3L engine. Our website is a pretty popular place if you are someone that likes to save money buying engines. We sell around the world and we send out hundreds of engines quotes each day. Use the Caprice form on this page and we’ll do the same for you. If you want a phone quote, call us toll free at 1-877-630-3873. You’ll find we are friendly and very passionate people. We help you save money. Call us.